Just Drama Based Training's 40 strong team includes some of the most highly skilled and experienced actor facilitators in the world. Whatever the size of the group, wherever your operations are based, our pioneering team will connect with your people, engage their learning through participation and inspire change. Alice Boyd has worked for over fifteen years, with both individuals and groups, using interactive drama techniques to help facilitate communication and expression on subjects that matter to them. After building on her experience of devising and delivering content for drama based learning, Alice co-founded 'Juice DBT Ltd' with co-director Jacqui Meyler in 2008. Alice's ability to form long standing relationship with individual clients in the oil and gas industry means that she has been lucky enough to be part of the sustainability programme for several safety intervention training programmes. 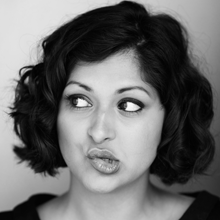 She is known for her quirky facilitative style, creativity and ability to generate engagement. Since 1989, Jacqui has championed the application of experiential learning in corporate business settings all over the world. Since 1989, Jacqui has championed the application of interactive drama training in corporate business settings, all over the world. During the intervening 20+ (that’s close enough!) 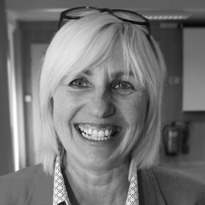 years Jacqui has seen the principles of facilitation and drama based learning – an innovation in education in the 1970s – become standard practice, in the delivery of behavioural safety and cultural change in the Oil & Gas industry worldwide. 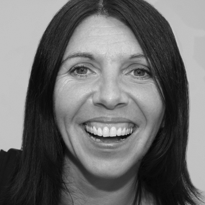 Jacqui is one of the most experienced professionals in this field and has held the position of Company Director of Just Drama Based Training since 2008 – a responsibility she happily shares with Alice Boyd. Charlie's extensive experience in TV Commercials ( Pot Noodle, Zoopla, Moneysupermarket) make him both a familiar face at Just training events and an incredibly flexible and talented actor. His ability to connect instantly, with participants and flex the learning accordingly, make him an invaluable member of the core team. I have been a professional actor since 1997, making my film debut in Purely Belter back in 1999. Since then I have performed many roles, both on stage and screen including; Emmerdale, George Gently, Vera, Zoopla Commercial, Pot Noodle Commercial and most recently Gary in the new Moneysupermarket advertising campaign.As well as performing many roles on screen I also love Live Theatre and the immediate connection with an audience. Over the past 3 years I have been working all over the world as a corporate actor facilitator, visiting many places including Dubai, Italy, Norway, Denmark to name but a few. It is a great pleasure to work for Juice DBT as it allows me to continue to explore acting whilst sharing my personality and experience with others. Dan has been a professional actor facilitator for 15 years. He currently leads Just Drama Based Training projects with the financial giant, Swift. 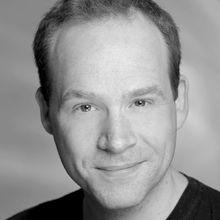 Dan has been a professional actor/facilitator for 15 years. His six years of experience working with global provider of financial transactions SWIFT, demonstrates his skill in forming lasting, learning relationships with complex multi-cultural organisations. 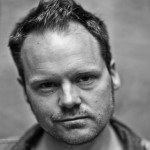 Improving his Spanish and Italian all the time, Dan is currently responsible for broadening and strengthening our base of multilingual actor/facilitators in Europe and the Southern Hemisphere by developing the Just DBT "train the trainer" programme in Spain, Italy, France and Singapore. Dan has been an Associate since 2008. With 15 years experience of delivering corporate drama training, Mat's core skills as actor/facilitator are in Giving & Receiving feedback in addition to his extensive experience working on and offshore delivering behavioural safety training. 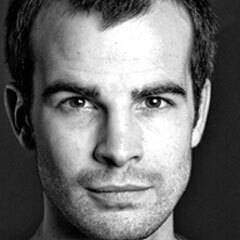 Mat (offshore trained) has worked professionally as an actor/facilitator for 15 years. He has utilised his unique abilities as an actor/facilitator in a huge range of contexts, including: Higher Education, Oil and Gas, Manufacturing, Public Institutions, Financial, Legal Healthcare and Social Care Sectors. He has been safety programmes offshore for more than ten years. Mat is developing the Just DBT in-house training programme for actor/facilitators, specialising in giving and receiving feedback. He is also learning Japanese - watch this space! 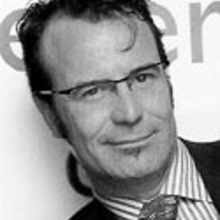 Mark has been involved in corporate training since 2001. Although he started as a practitioner of interactive drama based learning, Mark's keen interest in the Psychology of Education led him to increase and diversify his range. Mark (offshore trained) has been involved in corporate training since 2001. Although he started as a practitioner of interactive drama based learning, Mark's keen interest in the Psychology of Education led him to increase and diversify his range. Since 2005, Mark has been heavily involved in working with A level and GCSE students nationwide - helping them to maximise their learning potential using psychological analysis, creative thinking and memory techniques. Mark's skills in this field are becoming increasingly sought after by JDBT clients in the Oil & Gas industry, who are keen to maximise the potential of all their employees - but particularly those in supervisory roles. 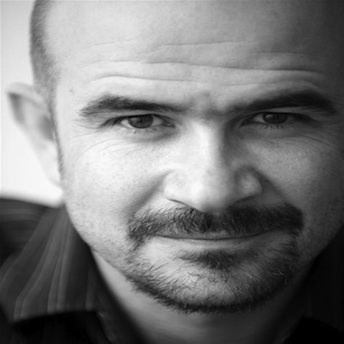 Paco is a multi-linguist and professionally trained actor facilitator working across Europe since 2006. He has worked for Just Drama Based Training for over 4 years, promoting the business across Europe. Paco is a multi-linguist and professionally trained actor/facilitator working across Europe since 2006. He has been an Associate of Just DBT for 4 years. Paco began by establishing the Just DBT team in Spain (Cadiz) working extensively with Oil& Gas Capital Projects and has begun the same process in Marseille in France. His role as Just Associate has since developed into Marketing our services in Europe. 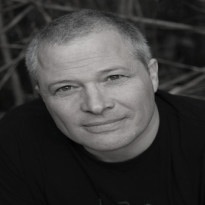 Gary is a UK based writer, actor/facilitator and improviser. He has been a professional actor for 18 years working in theatre, film, TV and advertising. Gary’s expertise in improvisation, comedy and creative thinking make him our performance technique specialist. 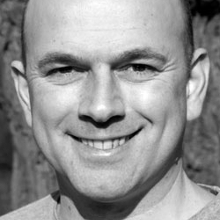 Gary is a North East based writer, actor/facilitator and improviser. He has been a professional actor for 18 years working in theatre, film, TV and advertising. As well as working as a performer Gary worked as a lecturer for 3 years lecturing in acting technique, improvisation and theatre history. He has worked in training in heavy industry for over 6 years. 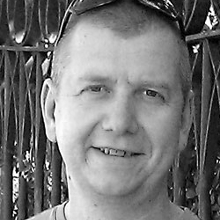 Gary’s expertise in improvisation, comedy and creative thinking make him our performance technique specialist. Phillippa (Pip) came to the UK from her native Australia in the late '90s to complete a BA (Hons) degree in Acting. After a 12 year period living and working in London, becoming an experienced presentations specialist for Citigroup and Merrill Lynch and as a Project Manager for RBS, Pip has returned to Melbourne to develop the Asia Pacific base for Just DBT. Phillippa (Pip) came to the UK from her native Australia in the late '90s to complete a BA (Hons) degree in Acting. 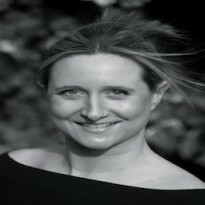 Prior to this Pip spent a number of years as a children's editor for Penguin Books Australia and subsequently moved into sales, where she became a Senior National Account Manager for Simon and Schuster. After a 12 year period living and working in London, becoming an experienced presentations specialist for Citigroup and Merrill Lynch and as a Project Manager for RBS, Pip has returned to Melbourne to develop the Asia Pacific base for Just DBT - our Just sister company in Melbourne is Dramatic Change; please use our enquiry form to be directed to Pip. 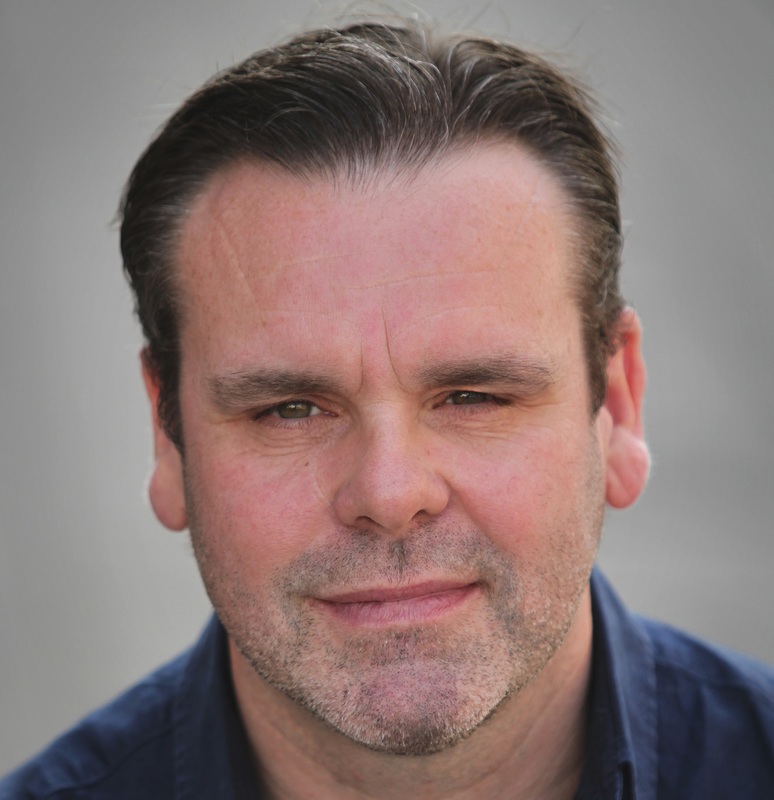 Richard has worked extensively as an actor, facilitator and coach, across a wide range of industries including banking, oil, construction and aerospace as well the public sector arenas of The Police, Fire Service, Royal Mail, NHS trusts and City Councils. 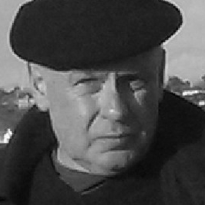 Richard (offshore trained) as worked extensively as actor, facilitator and coach, across a wide range of industries including banking, oil, construction and aerospace as well the public sector arenas of The Police, Fire Service, Royal Mail, NHS trusts and City Councils. 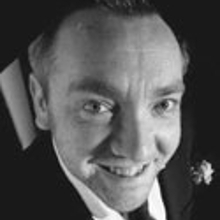 Richard also has extensive writing experience and is an established presenter/host on the UK corporate video and conference and seminar circuit. He is an I.L.M. qualified Business Coach and regularly facilitates coaching, training and drama based learning sessions around the world. Lou has worked in the corporate sector for over ten years, specialising in communication skills and behavioural psychology. Lou regularly works off shore in the oil and gas industry, focusing on behavioural safety. She also works in areas such as sales, customer service, leadership, presentation skills and interview technique as well as one to one life and business coaching. 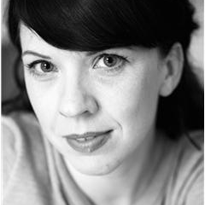 Lou has a first class degree in English, an MA in social and cultural studies and a postgraduate diploma at drama school. Graduating in 2001, she then worked mainly in theatre before gaining an interest in drama-based training where she relishes the opportunity to bring together academic and creative elements in the same room. 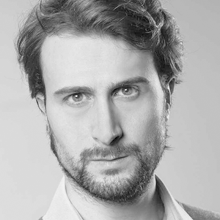 Fluent in Italian and English, Daniele's best acting for business skill, is to create original and trustable characters. In theatre, he is a chameleonic actor, ranging from physical theatre, passing through the dramatic art, to film acting, embodying different roles, with different styles. Daniele is a chameleonic actor, ranging from physical theatre, passing through the dramatic art, to film acting, embodying different roles, with different styles. His best skill is to creates original and trustable characters. In Physical and visual theatre he is a complete artist: writing, acting, direction. He is very confortable with the devising work, metaphor of his life philosophy: life is an ensemble creation. In cinema he swap dramatic and comedy very easily, sometimes uses both at same time (like his favourite "Fellini" and "Benigni" Italian directors). His education and his work experience started very early with school's drama and street theatre disciplines. He studied contemporary theatre, specially strong and international techniques, always with international and very wonderful teachers. His strength is to use the body as well as a musician plays his instrument. Inspire himself form the nature and the life that surround him. His hobbies also are sports and arts leisure like athletics, music, painting, plastic and visual arts that helps him to transform his life in a creative and authentic one. Strong experience in contact with all kinds of artists in various shows and performances, improvisation and experiment is one of his let motive, as well as fusing it with his tradition and folk background. His character is open and available, and the knowledge of languages led him to make international experiences, breaking down cultural barriers and fusing different styles. A great worker with a great talent: to inspire people. Jill has worked in Theatre, TV and Film for over 15 years. And has fronted many national Commercial campaigns, including Holland & Barrett, Bristol Street Motors and Ronseal. Jill has been with Juice DBT for a number of years, working with them on various issues including Anti Bullying and Safety Intervention. Jill has worked in Theatre, TV and Film for over 15 years. And has fronted many national Commercial campaigns, including Holland & Barrett, Bristol Street Motors and Ronseal. She is an experienced role-player working for various companies such as the NHS - Consultant Exams, Tyne & Wear Fire Brigade, Northern Deanery GP Selection and NHS Mental Health Trust. Jill has been with Juice DBT for a number of years, working with them on various issues including Anti Bullying and Safety Intervention. Leigh has worked extensively in TV theatre and radio over the past 20 years. Outside of acting Leigh has also worked in the construction industry. 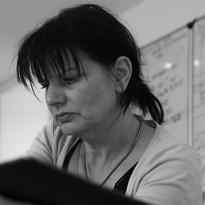 Leigh has worked extensively in TV theatre and radio over the past 20 years. Outside of acting Leigh has also worked in the construction industry. Sohm has been with Just Drama Based Training since 2012 and has enjoyed roleplay scenarios from Nurses to CEO's for various companies. Her energy is fantastic and she is not afraid to delve deep emotionally if needed to portray a particular character. Sohm has been with JBDT since 2012 and has enjoyed roleplay scenarios from Nurses to CEO's for various companies. Her energy is fantastic and she is not afraid to delve deep emotionally if needed to portray a particular character. Sohm recently said "what I love about JBDT is not only the fantastic people I get to work with, but also the diiference it makes to attitudes in the work place - this is whats important to everyone". Sohm is currently in the US but will return in 2015. 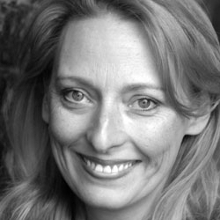 Karen is an experienced actor/facilitator clocking up over 17 years service. Karen is delighted her work affords her the opportunity to visit every corner of the country and even more excited to be part of the wonderful JUST team. 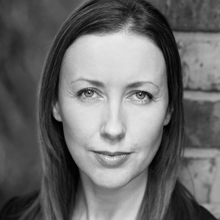 Karen grew up in the West of Scotland, studied acting in London and has since worked for many prestigious theatre companies across the UK, New York and New Jersey. Finding time to squeeze in a wee bit of tele and film, here and there, as she goes. She is an experienced role player, clocking up almost 17 years service, playing roles as diverse as angry neighbour, careless employee, overzealous managing director, suspect of crime and acutely concerned patient. Karen is also an experienced facilitator and has recently designed and written a training programme for mediation in the NHS too. Other experience and skills in training include: forum theatre, giving detailed feedback, hot-seating, performance management, diversity training and improvisation. Karen is delighted her work affords her the opportunity to visit every corner of the country and even more excited to be part of the wonderful JUST team. Cameron is the key member of the Aberdeen based Just DBT team. Central to the delivery of PSI training to ConocoPhillips and TAQA UKs"Looking out for Each Other" Intelligent Safety programme . Born and bred in Aberdeen, Cameron trained as a professional actor at Queen Margaret University in Edinburgh. Since graduating he has been working around the country in Theatre, Film and Radio; working with such companies as: BBC, Dundee Rep, Aberdeen Performing Arts, The Globe Theatre, The National Theatre of Scotland and The Barbican, London. For Just DBT, Cameron has been part of the team delivering PSI training to Conocco Phillips and the "Looking out for Each Other" Intelligent Safety programme to Taqa. He's also recently been out to Singapore and Batam with the Just DBT team to deliver PSI training to employees of Det Norske and SMOE for their Ivar Aasen Project. Drama Based Training is a fun and creative process. It's the ultimate live experience. The process allows me to come off script and to improvise and interact with the people in the room. Just DBT put care and attention into all their sessions. Every detail is considered and discussed so to provide a bespoke, engaging and realistic experience. Each session is a thrilling journey and one I look forward to every time i'm with Just DBT. Claire has been Just DBT’s Finance Administrator since 2008. Claire is indispensible! Claire has been with Just since 2008. Trained in Business and Finance, Claire started her career by successfully managing the accounts at Riverside, of one of Newcastle's most popular music venues in the 1990s. She went on to oversee operations at Voluntary Organisations in the borders region and now manages internal and external invoicing for Just. Claire is also a qualified basketball coach and Swedish masseuse. As well as being a key Spanish/English speaking member of the Just facilitating team, Alex is also Artistic Director of "Operating Theatre"
As well as being a key member of the Just team, Alex is also Artistic Director of "Operating Theatre" which produces thought-provoking drama on health and social issues and as such, is our resident specialist on all NHS and medical services training. Fluent in Spanish and French, Alex also has responsibility for liaising with our European based teams and clients and for developing and translating learning materials and scripts. emotional engagement that accurately reflect the reality of the participants. 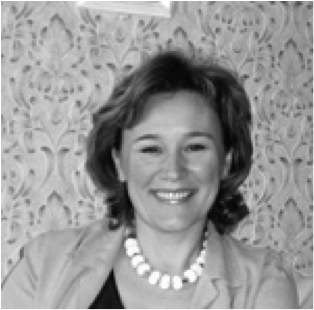 Living and working in the UK since 2008 – Ania (Assoc CIPD) previously was a Senior HR professional in Polish subsidiary of AGA Gas (now Linde Gas) – one of the biggest worldwide industrial and medical gas producer. Later she worked as HR Senior professional for the biggest worldwide color picture tube producer Thompson Displays Poland (merged with Videocon Industries Ltd). In 2011 Ania established our Polish/English language JDBT team and has since co-ordinated and facilitated all Polish language (and some Ukraine & Faroese!) safety training programmes in Norway, Poland & Finland. Much of Charlie’s professional life has been spent on stage, from London’s West End to the Sydney Opera House. Much of Charlie’s professional life has been spent on stage, from London’s West End to the Sydney Opera House. His career spans more than a quarter of a century. As a Drama Practitioner Charlie balances teaching, consultancy, performing and directing both at home in Edinburgh and across the globe. 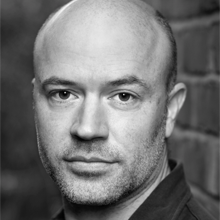 Chris has been a professional actor for over twenty years, enjoying extended runs on Broadway and at The National Theatre along with numerous film and television appearances. 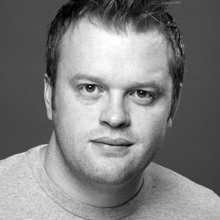 Chris has been involved in drama based training throughout his career. He is a firm believer and strong advocate of the use of drama to enhance and deliver learning in any context. Tony is now in his sixth year working internationally for Just DBT as an actor/facilitator; he specialises in delivering behavioural safety training to the energy industry, as well as key communication skills training in the public and private sectors. 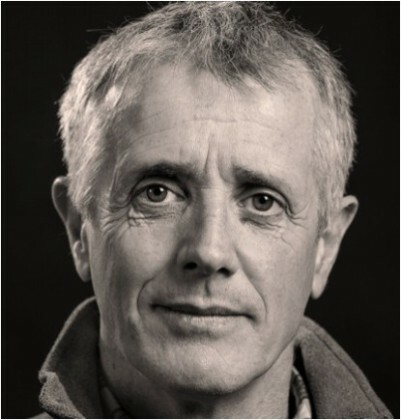 His expertise in presentation & media skills, is invaluable to Just DBT's leadership and Emergency Response programmes, based on his 5 years, as lead presenter on the BBC’s educational programme “Watch”; in addition to numerous radio, film and TV commercials; He began his career as an actor 35 years ago in local, national and international theatre playing any part from “Macbeth” to a nerve cell, in Theatre in Education.